Palmer Flowers Loveland is the premier local florist in Loveland! Located on the corner of Eisenhower and Madison in Loveland since 1998, Palmer Flowers is a staple flower shop in Northern Colorado. We pride ourselves on tremendous CONVENIENCE from our streamlined location to seamless e-mails confirming your successful Loveland flower delivery! If you walk into the Palmer Flowers showroom, you will be greeted by a smiling face eager to help you through the entire process of flower buying. You will receive no better customer service by a flower shop in Loveland. Choose Palmer Flowers Loveland for a CONVENIENT & ENJOYABLE local fower shop experience. *Our shop is open from 8:30 a.m. to 7:00 p.m., Monday through Friday, from 8:30 a.m. to 5:00 p.m. on Saturday and from 10:30 a.m. to 3:30 p.m. on Sunday. To help assure on-time delivery during the busy holiday season, place your order at least 1 day prior to the following major holidays. On a normal day, Forever Flowers Loveland will happily accommodate your same-day delivery requests. 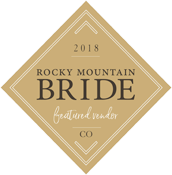 If you have any questions or need more information, please contact us by e-mail at loveland@palmerflowers.com or call us directly at (970) 825-1111. We're always here to serve you and make your flower-sending experience a pleasure. Palmer Flowers Loveland offers convenient flower and gift delivery to Loveland, Fort Collins and surrounding areas. Palmer Flowers accepts same-day orders for delivery Monday - Friday until 2:00 PM when possible. We also offer flower delivery services on Saturday accepting same-day delivery orders until 12:00 PM when possible. Palmer Flowers does not have a minimum order amount for delivery other than during holiday times. During holiday times, our Minimum Order for Delivery is $35. We will deliver a wedding anywhere in Northern Colorado. Fees vary from event to event. Schedule a consultation for more information! Forever Flowers will take same-day flower orders for delivery as late as possible dependent on daily volume. If it is late in the day and you are interested in a day-of delivery, please call us at (970)613-8000 after placing your order on our website. If the recipient of your gift is not available when we attempt delivery, we will immediately attempt to call them. If the recipient is not home, we may try to leave the flowers with the closest neighbor. Only with permission, appropriate appropriate and an obvious secure location, will we leave the floral delivery at the recipient's door. If none of these options are available, we will leave notification on the front door and return the flower delivery to Forever Flowers. Forever Flowers Loveland will do everything we can to deliver your flowers directly to the intended recipient. In some cases, such as secure offices, dormitories, or hospitals, we are not allowed to reach the recipient. Our delivery driver will leave your floral gift with the appropriate staff and contact the recipient to let them know they have received a delivery. If you require a specific time for your delivery, we suggest utilizing our Express Delivery Service. In addition to the base delivery fee, we will guaranteed a two hour window of delivery for $15.00. This means you can request delivery between 9:00 and 11:00, for example. Please call Forever Flowers directly to order this service at (970)613-8000. If you have any questions about our flower delivery service, please call us directly! Occasionally, substitutions may be necessary to create your bouquet due to the availability of certain flowers in various parts of the country. Care is taken to maintain the style, theme and color scheme of the arrangement, using flowers of equal value. Additionally, the substitution of certain keepsake items may be necessary due to high demand, especially during major holidays. In single-flower arrangements, such as an all orchids bouquets, we will make every attempt to match the flower type, but may substitute with another color.